Pinching and pulling masking stripes etc. when creating wooden inlays etc. I can also use it with confidence that I say that it is pointed firmly and grasping and pulling it because it also withstands the work which puts somewhat power on because the destination is strong. Although I use it considerably violently, I may make a point ahead but I think there is also durability. It is high, but it is the third one this time. This review is about item#6555263. I was satisfied with nearly the same tweezers I had before. 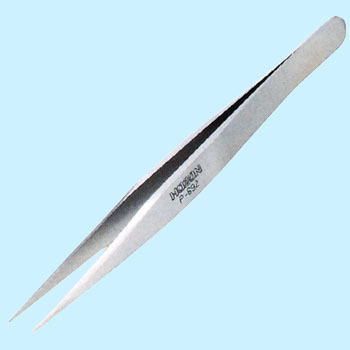 Powerful tweezers are strong in the waist and are a necessity for the installation of parts. I do not get tired even if it is used for a long time, I think that it is a very good product. This review is about item#06555263.